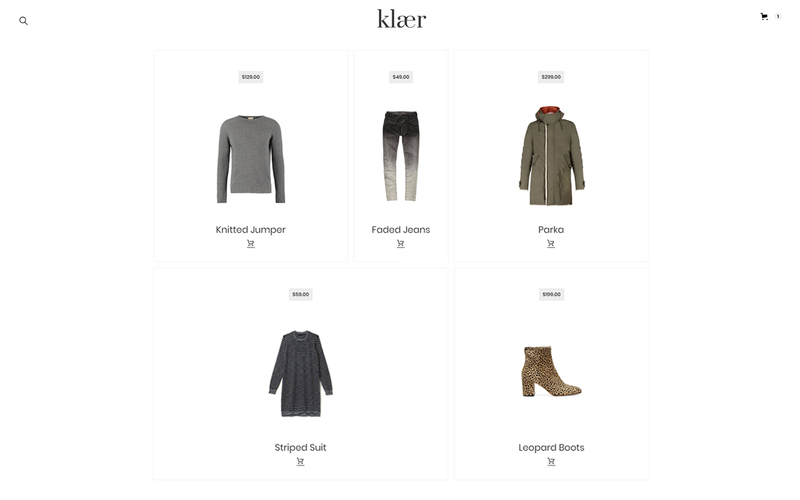 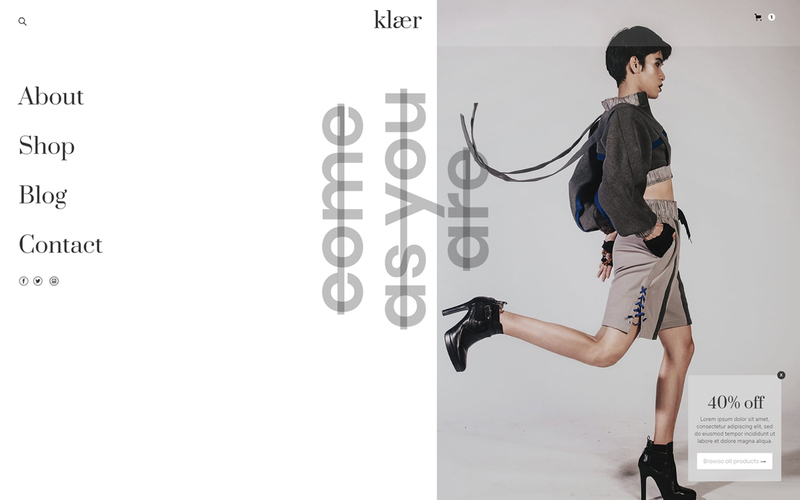 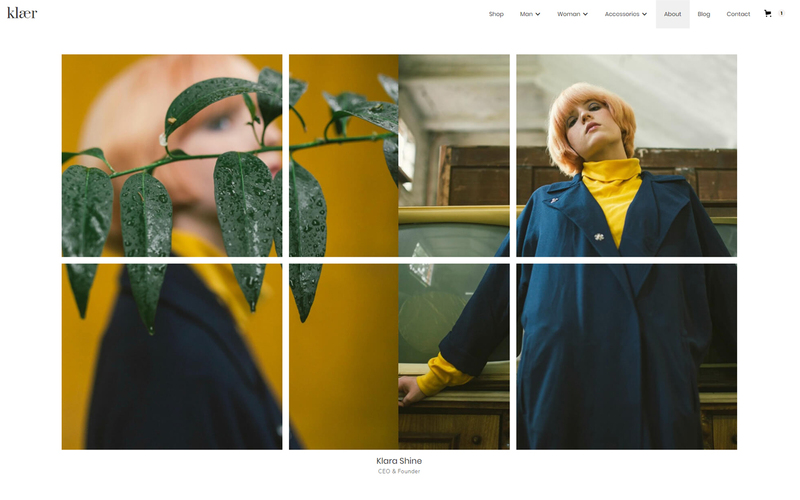 With its clean and elegant style, Klær is crafted for those who want to build an e-commerce with an eye-catching layout that will put any products in the spotlight. 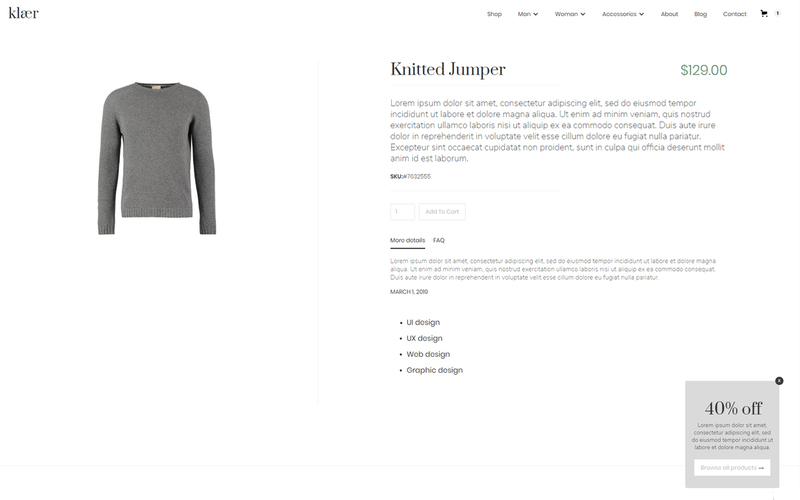 It’s specifically designed for clothing but suitable for many other products. 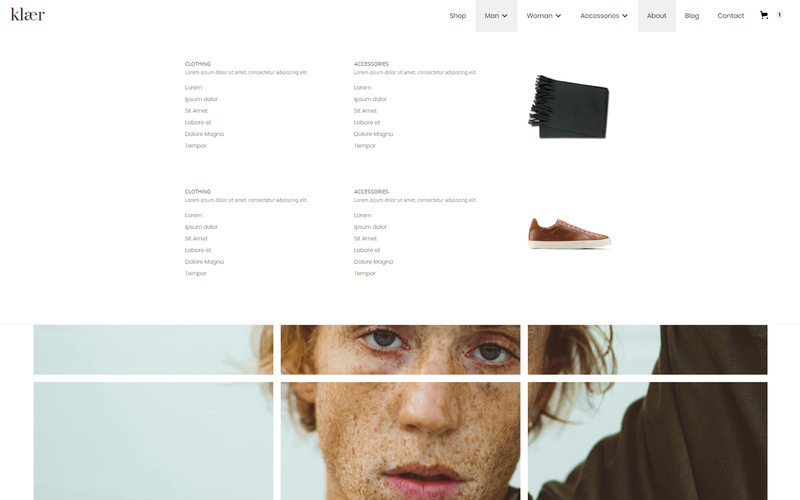 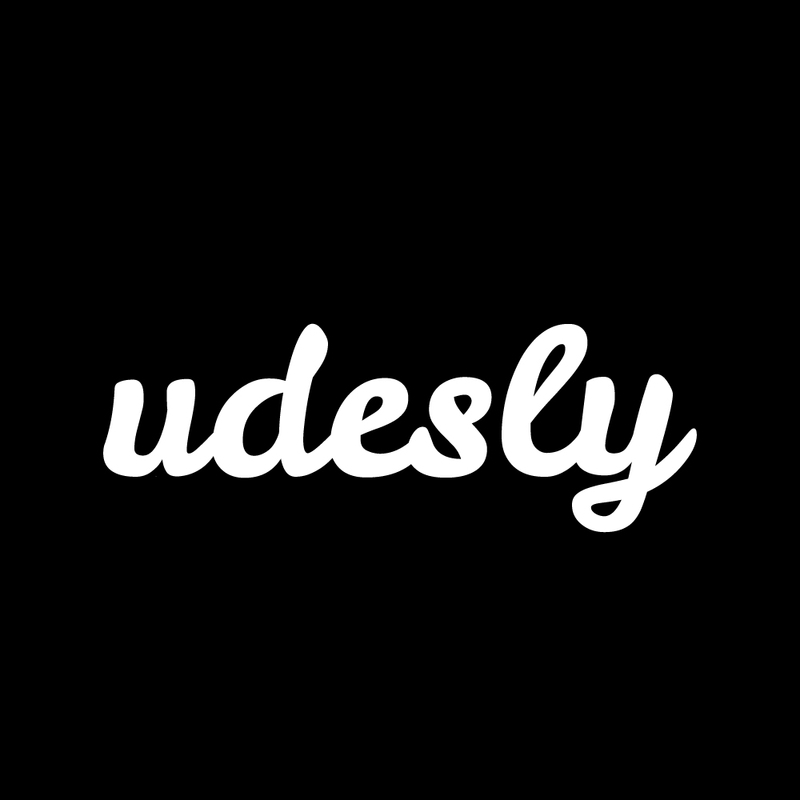 This fully responsive theme includes a complete suite of e-commerce pages: from the category to the product page, cart and checkout page. 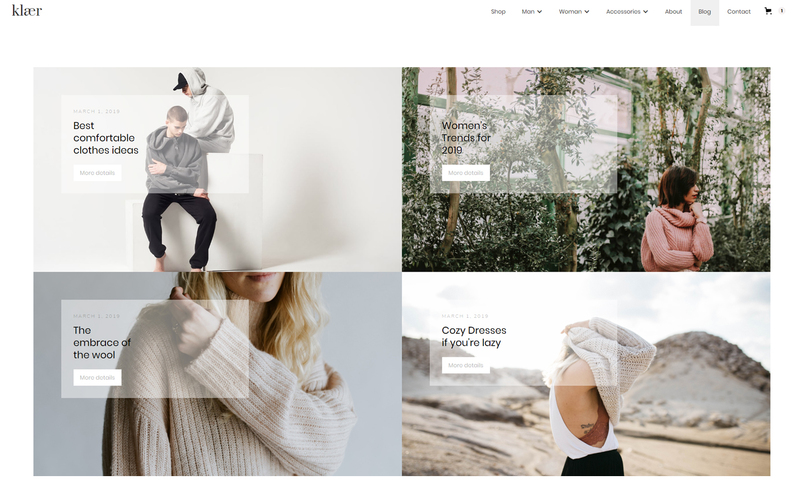 Everything is carefully crafted with both design and usability in mind and can be easily edited and customized to suite your branding needs. 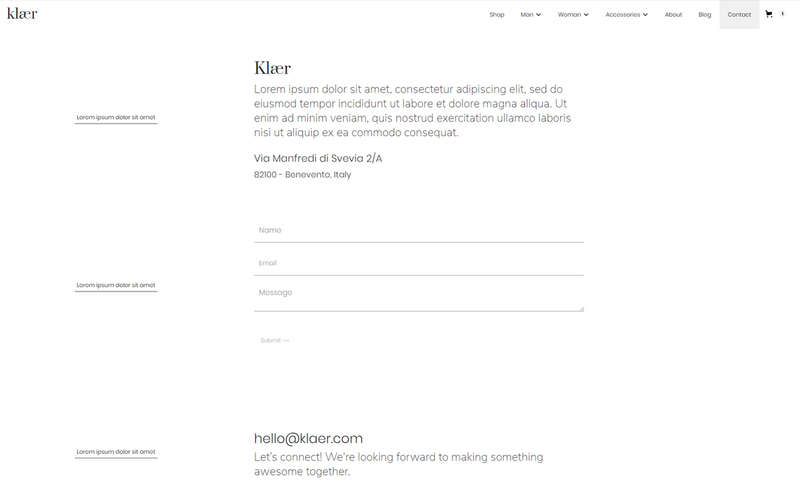 These are some of the sections and elements that you'll find on Klær Template. 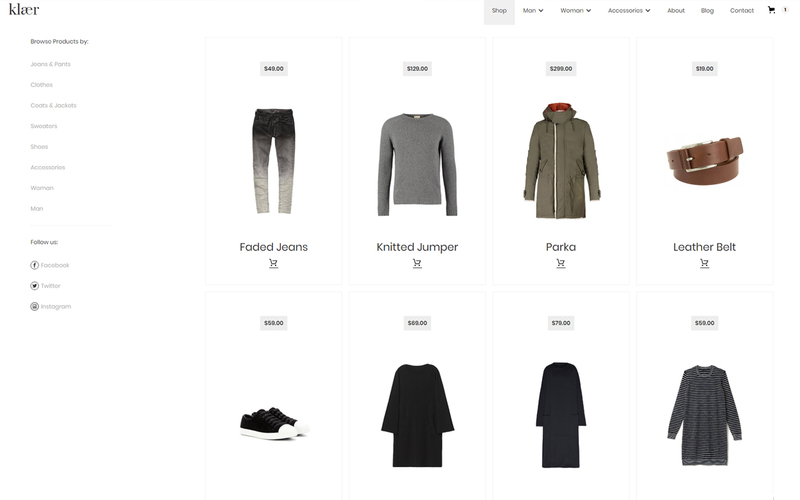 Product Page – Create a dynamic product page that includes CMS elements and present your products in a high design measure. 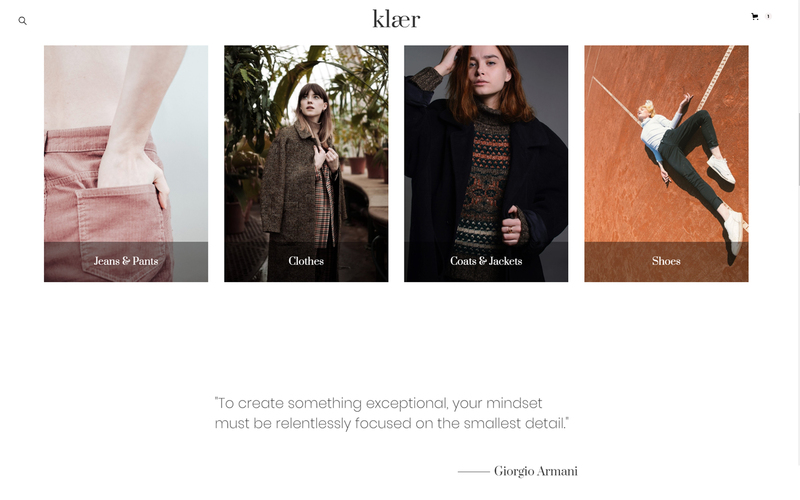 Fully Responsive – Klær is a fully responsive template and works perfectly on all screen sizes and mobile devices.